Today the Court of Appeal decided that Sharon Shoesmith was unlawfully dismissed from her post as Head of Children's Services following the tragic death of Baby P. This was done by Ed Balls at the time Children's Secretary. Proper procedures were not followed in the case and in fact her sacking was announced live on TV before she was even informed, let alone had a chance to comment. It looks like this case will now cost hundreds of thousands (if not a couple of million) pounds of public money. 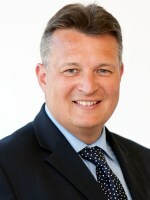 Ipswich Spy was critical of Mark Bee when he was elected by describing Andrea Hill as "a HR issue". He clams Colin Noble said that he would deal with her - basically removing her from office. Today on BBC Radio Suffolk Mark Bee said he could not comment on the case as proper employment procedures are being followed. He is right to do this. Everyone deserves a fair hearing. I have been critical of Andrea Hill and called on her to resign and described her position as untenable. I still think this, but it maybe that any fair finding on this case finds blame on both her and the County Council. The EADT are reporting a Disciplinary Panel will meet next week possibly to consider this case and I hope that there is a fair outcome.